Barack Obama at August 8, 2008 rally in Hawaii. Honolulu Police office stands guard outisde Obama Family Kailua Beach retreat. 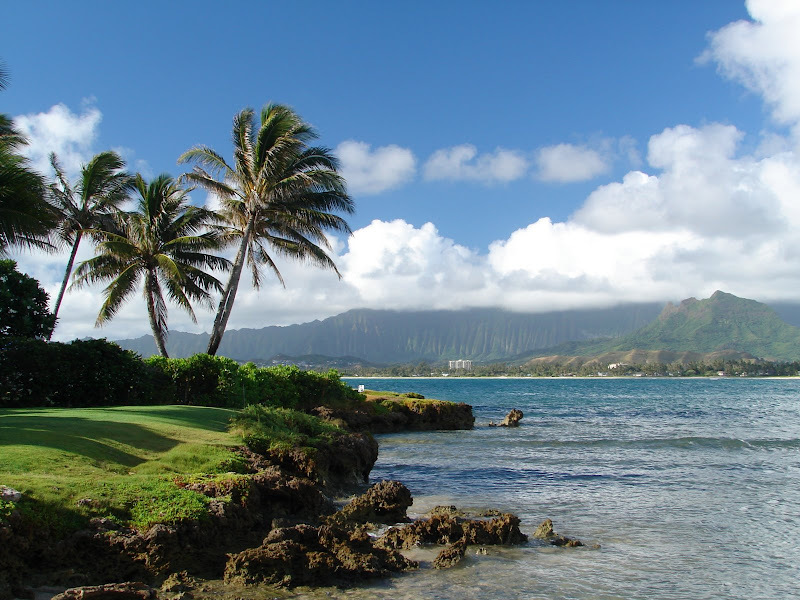 A distant view of Kailua Beach, the Obama vacation destination on the windward coast of Oahu.